This is an introductory project that I do with my grade 9s. Almost all projects are successful and I have found that students really understand contrast and how to use oil pastels by the end of the project. 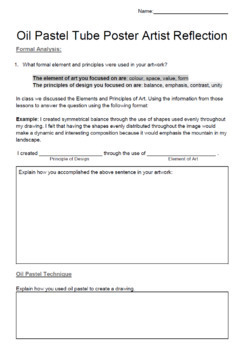 Student handout will all required steps to complete the project. 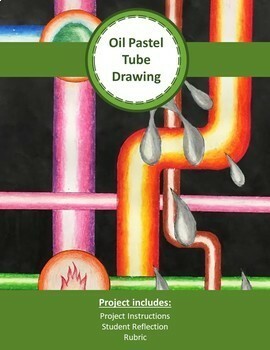 basic techniques for using oil pastels such as how to draw in the direction of an object and blending oil pastels to create a 3D form. 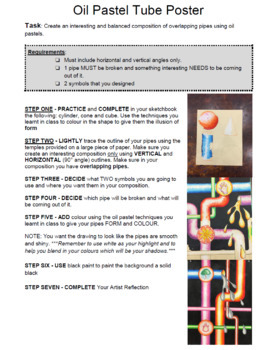 They also learn contrast, balance and composition by adding in required elements such as symbols and broken pipes. *** This product is editable. You will receive a PDF version of the project and a .doc version.